Tactical Intervention, the brand new free to play first person shooter from the co-creator of Counter-Strike, has set both a launch date and an open beta date for their game. Tactical Intervention will be available for players during the open beta starting on March 14th and going through March 25th, while the full release of the game is scheduled on March 28th. Tactical Intervention has been in development since its 2010 announcement and has gone through multiple closed betas in the past few years. 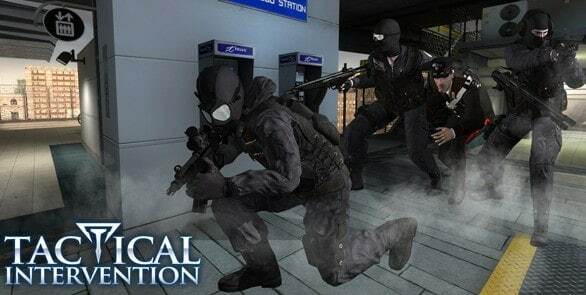 The game, which is being developed by Gooseman, the original modder for Counter-Strike, will draw many similarities to the original Counter-Strike, featuring terrorists and counter-terrorists in a first person shooter environment. What Tactical Intervention will do differently is add all the content that Gooseman had hoped to be in Counter-Strike, but didn’t have the confidence to pitch once Valve bought out the rights. Players interested in signing up to play the open beta should visit their Tactical Intervention webpage.